Hello, I am new to Dolphin so please be patient with my inexperience. I have an iMac and I have Dolphin 3.0 installed. However, when I try to run a game (Zelda Wind Waker) the keyboard does not respond to any keystrokes. I have checked the gamepad options and everything is configured correctly it seems. The game does respond to hotkey strokes (i.e. cmd-F) but nothing else. Also, I have a non-Mac keyboard (Logitech). Screencap your Config>Gamecube window and GCPad window. 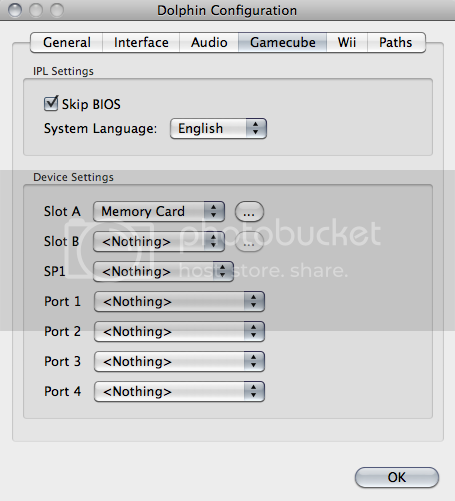 (12-11-2011, 06:43 AM)HawaiianPunch Wrote: Screencap your Config>Gamecube window and GCPad window. thank you for your consideration. any additional advice you might have is greatly appreciated. Put in Port 1 Standard Controller. That was it! Thanks so much for your help and patience. Everything seems to be in order now.